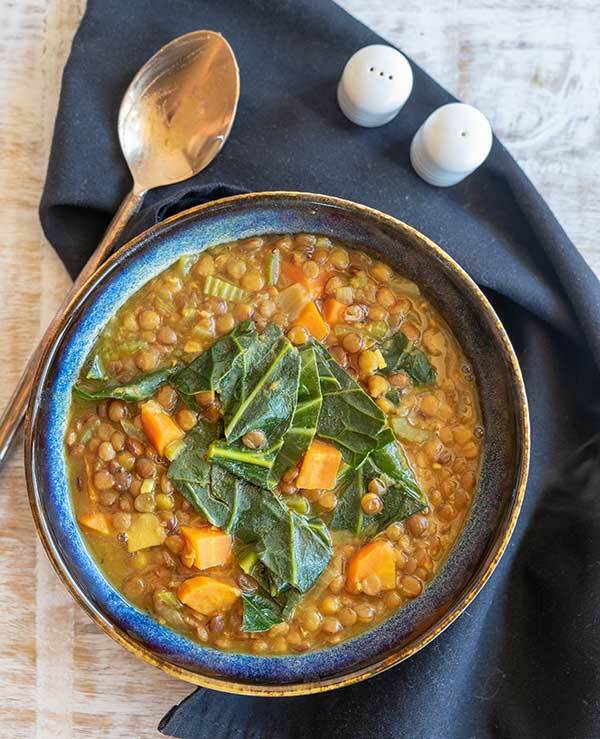 I can’t describe how delicious this instant pot lentil and collards soup is. 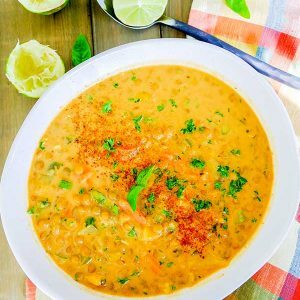 This flavourful, chunky and colourful lentil soup is made with spices such as cumin, turmeric and bay leaf. For the vegetables, I used carrots, celery, collards, onions and garlic. The earthy lentils are tender and the collards are cooked just right, not overcooked. 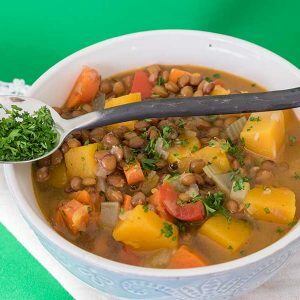 Next time you are short on time and are looking for a hearty soup recipe, try this healthy, packed with protein and fiber Mediterranean lentil and collards soup. A soup made in 30 minutes that tastes this good, is a win-win all the way! Enjoy 🙂 Have you checked out our online store for the latest in gluten-free products? Stir in garlic, cumin and turmeric until combined. Add broth, water, lentils, carrots, bay leaf, salt and pepper. Lock the lid with the valve in closed position. Set to manual, and set the timer to 13 minutes. When the time is up, quick-release the steam. Once the steam is released, remove the lid and stir in collards and lemon juice or apple cider vinegar. Close the lid and set to manual. Set the timer for 2 more minutes. After 2 minutes quick-release the steam, remove the lid and enjoy!